Battling deer is one of the most common issues gardeners face. The good news is that Proven Winners® ColorChoice® offers a wide variety of shrubs perfect for your garden that are deer resistant. Here are just a few beautiful varieties worth considering to encourage deer to browse elsewhere! 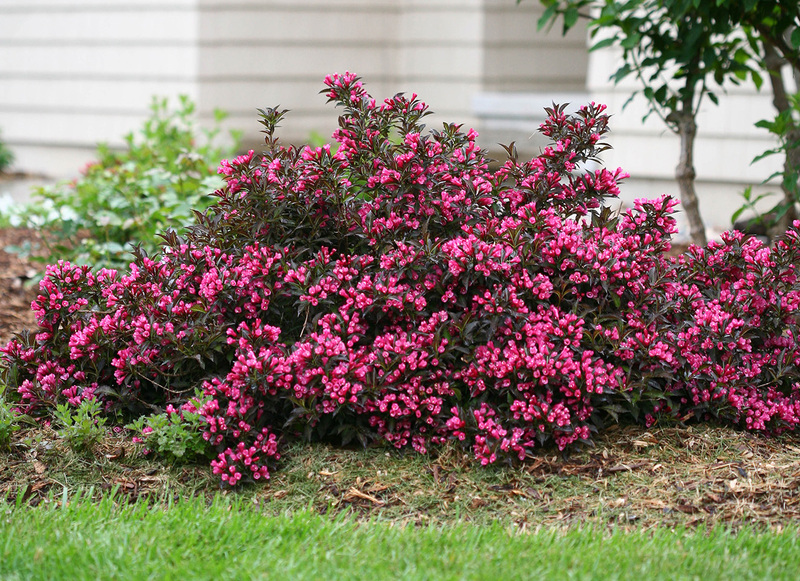 Spilled Wine® Weigela – A beautiful and versatile landscaping plant! Spilled Wine® weigela shares the fabulous deep purple foliage and bright pink flowers of the classic Wine & Roses® weigela but in a smaller size. This useful plant grows wider than tall, making it the perfect choice for edging beds or walkways and for incorporating under windows in your landscaping. Like all weigela, it is deer resistant and very easy to care for. Grows 2-3 ft. tall and wide, Zones 4-8. 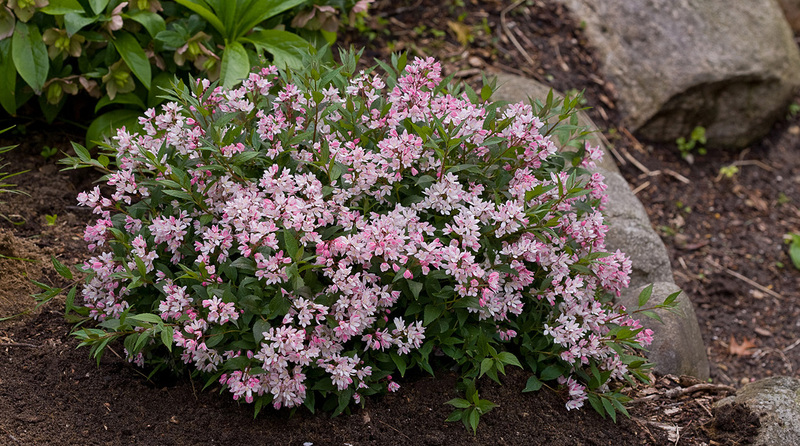 Yuki Cherry Blossom® Deutzia – The first-ever 'Nikko'-type deutzia with pink flowers – over ten years in the making! A shower of elegant pink flowers creates a carpet of color. Great for mass plantings because of its neat, mounded habit and burgundy-purple fall color, this tough, adaptable plant makes an excellent groundcover, and to top it off, it's the Proven Winners® ColorChoice® Landscape Plant of the Year. Grows 1-2 ft. tall and wide, Zones 5-8. Lo & Behold® 'Blue Chip Jr.' Butterfly bush Buddleia – The next generation of Lo & Behold® 'Blue Chip' butterfly bush, young Junior is smaller, less brittle, and has attractive silver-green leaves. Great for mass plantings, containers or mixed into perennial gardens. This charmer flowers from mid-summer to frost. Winner of a Silver Medal at Plantarium, 2015. Grows 18-30 inches tall and wide, zones 5-9. 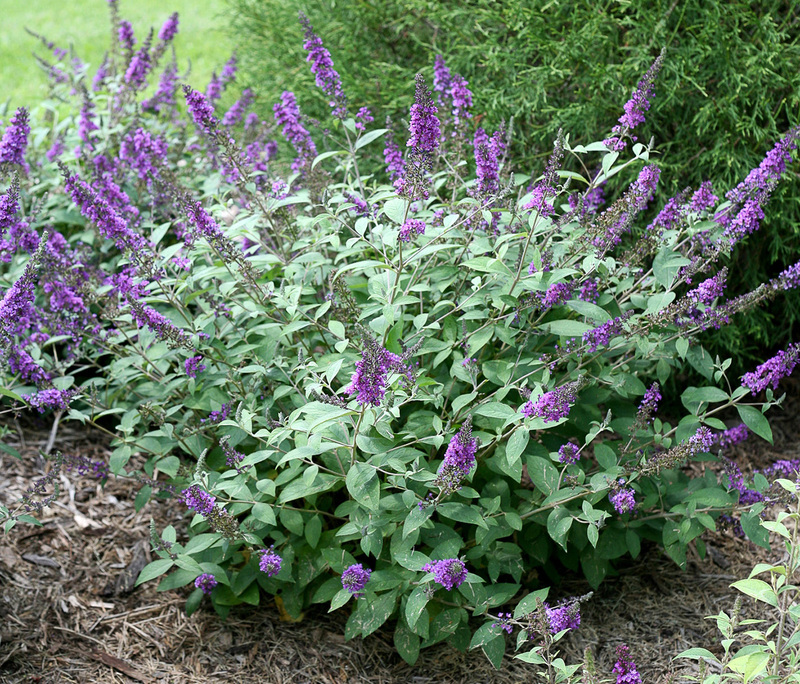 Check out the rest of the Lo & Behold series and other buddleia from Proven Winners. Sprinter® Boxwood Buxus – This is an improved, fast-growing form of 'Winter Gem'. Its glossy evergreen foliage is attractive year-round, and it has excellent hardiness. This variety's more upright habit makes it great for hedging. Faster growth means it will fill in more quickly than other varieties. Consider using it for edging or a low hedge in formal gardens. Grows 2-4 ft. tall and wide, zones 5-8. 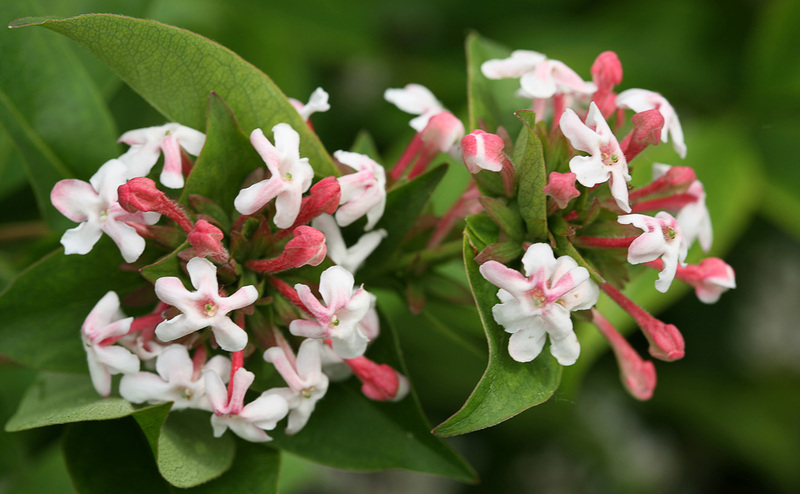 Sweet Emotion® Abelia – Sweet Emotion abelia is just the shrub to kick start your heart – and your landscape. It's the hardiest abelia yet, growing where no abelia could grow before: in chilly USDA zone 4. It's also the most fragrant of any abelia, with white and pink spring blooms that perfume the air with the scent of jasmine. Add in its elegant habit, attractive seed heads, and orange fall foliage and you have the perfect shrub to showcase your good taste.